While there is increased awareness from Irish business owners of the potential impact of Brexit, there is a reluctance to take action until the true impact becomes clear. However as timelines get shorter and this uncertainty continues to remain, businesses will need to be prepared to act quickly when more formal details are known. At the end of last year we heard a lot of political rhetoric around ensuring we remain with no border separating Ireland and Northern Ireland, but it is unlikely that this will be the case. 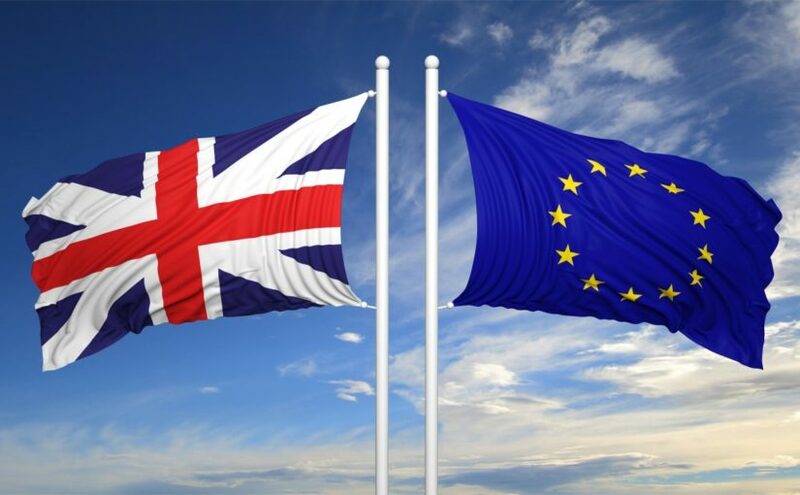 Even in the best case scenario where Britain remains a member of the EEA and enters into a Free Trade Agreement (FTA) with Europe, there would be a need for a customs border between the UK and the EU, and customs duties and declarations may still apply. Traders who import or export goods into or out of the EU (and the UK following Brexit) are required to provide a classification code for the customs clearance of each of their goods being shipped, even when a FTA exists. The Single Administrative Document (SAD), also known as Form C88 in the UK, is the main customs form used in international trade to or from the European Union Customs Union. This time-consuming document, together with proof of origin documentation, could soon be a feature of all movements entering or transiting the UK. 1. Find out what tariff codes will apply to your business. Traders who import or export goods into or out of the EU (and the UK following Brexit) are required to provide a classification code for the customs clearance of each of their goods being shipped. Even if there is no tariff, miscoding can lead to fines or penalties. Also a detailed understanding the coding system may have the potential to lead to a great deal of savings. The tariff schedule is full of competing codes, which means that a product can be classified into several headings. This opens the possibilities for savings on customs duties by using tariff codes with a lower duty rate. If you are delivering goods to say 10 locations per day in another jurisdiction then you may now have to produce 3000+ SAD documents per annum. Alternately, it could be worth examining setting up a single receiving entity in UK (which then distributes locally) which will mean just one document per day. In the event that there may be a frictionless border there will be spot checks and delays. What impact will this have on your business? If your goods are perishable or feeding into a ‘Just in Time’ (JIT) delivery slots what impact will this have? Delays of a few hours to a few days could shorten the shelf life of chilled goods and potentially lead to food safety issues, spoiled goods and missed delivery times. If you are importing from the outside Europe and UK you may already have an agent or perhaps manage the process in-house. But for many firms faced with the added customs burden they will need to invest in business operations software, build in-house expertise or explore hiring a customs clearance agent as the process can be complex. Errors in customs documentation can be very costly. Your consignment can be held up in a customs warehouse leading to storage charges or possible seizure. Not only will this be expensive to your business but it will also damage your reputation with your customer. Hiring an experienced agent should mitigate those risks. The AEO is a standard issued by customs administrations in the EU to businesses involved in the import and export of goods, once various standards have been reached in relation to security arrangements, management systems, compliance with customs rules and procedures and on-going solvency. Irish companies who become certified will be given very attractive benefits such as a low security risk, customs simplifications, very low examination rates and priority clearance of goods. This means that your imports and exports can be cleared through customs with the minimum of formality removing any potential for costly delays. A recent survey published by the Irish Exporters Association found that two thirds of exporters go through Britain to get their produce to Europe and further afield. Even if tariffs are avoided post-Brexit, customs checks alone for trucks transiting the UK could add hours to transit times, impacting the viability of the route for fresh produce and JIT deliveries. The development of new routes direct to mainland Europe are at an advanced stage, however at best these will be cost and time neutral compared to today. This may lead to companies investing in additional warehousing to develop stock holding arrangements in Europe which will add to cost. Intra-EU trade is currently exempt from VAT payments, but post-Brexit companies will need to consider the cashflow implications of VAT. This will be paid on entry into the country directly to customs and not to the supplier. In essence VAT will be paid up front.. Such cashflow implications could be compounded for companies that need to hold additional inventory as insurance against potential delays at borders. It is more important than ever to fully investigate your supply chain to discover any potential issues or complications with suppliers that Brexit could cause. Not just your own supply chain but the supply chain of your suppliers should be looked at. Performing an audit of the businesses further up and down your supply chain will help you understand not just the pressures your business is under, but also the pressures your customers and suppliers are under. This will help you to anticipate problems before they occur and build more robust contracts that can weather future unexpected cost pressures. A key contingency option is having more than one supplier for the most important parts of your supply chain therefore multiple sourcing spreads this risk. By ensuring you have access to more than one supplier at any one time, and will help avoid the risk that comes with potential disruptions or volatility. What should Irish SMEs do? Brexit, with the uncertainty it brings, is an especially intimidating prospect for Irish SME businesses. However, by reviewing your operations and supply chain networks, you can mitigate the turbulence of the next few years. Brexit will bring opportunities for Irish SMEs as well as challenges. By conducting an in-depth review of all aspects of your business, you will uncover these opportunities and be prepared to leverage them as well as mitigate any risks. Contact partner Gerard O’Reilly to discuss any issues or concerns you may have.